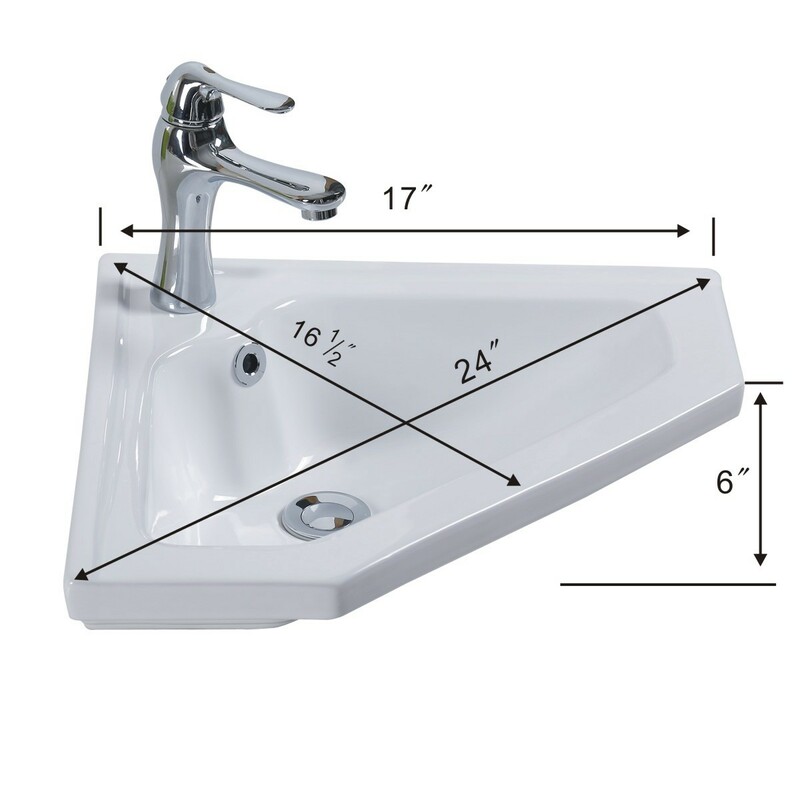 The “Alexander” wall mount corner sink from Renovator’s Supply features a bold angular design that attracts attention AND saves space in your bathroom! - The Alexander is an eye-catching contemporary corner sink. - OVERALL: 6-5/8” High x 21-1/2” Wide x 15-5/8” Proj.